Gameweek 24 was all about three strikers who accumulated a combined total of 47 points for their managers. 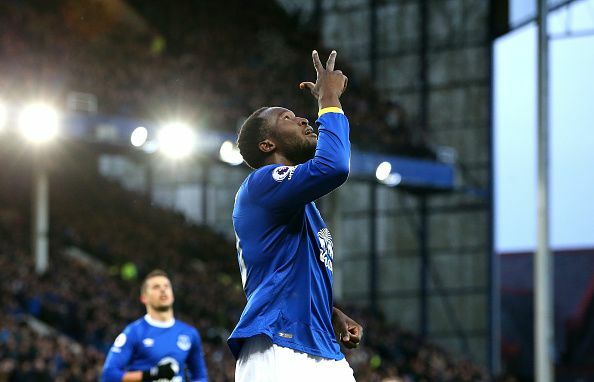 Romelu Lukaku's (21) four goals against Bournemouth ensured that the Toffees emerged victorious in a goalfest at Goodison Park that ended 6-3 in favor of the Merseyside club. The big match between Chelsea and Arsenal ended with the former emerging victorious for the umpteenth time with Eden Hazard being the tormentor-in-chief. Liverpool's free-fall continued as they were thrashed 2-0 by Hull City at the KCOM stadium. 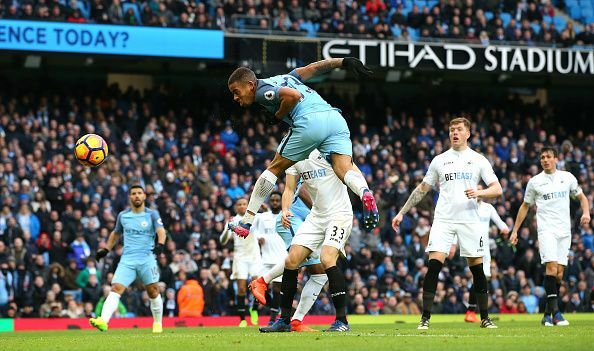 Manchester City had to wait until the second minute of added time to secure a win at the Etihad, and it was new signing Gabriel Jesus (13) who did the honors. Their cross-city rivals, United, closed the gap on Arsenal and Liverpool after their comfortable win against Leicester City thanks to a virtuoso performance by Henrikh Mkhitaryan. It wasn't just the offensive players who ensured it was a hefty pay day for the managers. Antonio Valencia, Andrea Ranocchia, and Lamine Kone provided 11, 12, and 13 points respectively to take the average score past 50. Gameweek 25 will see Liverpool attempt some sort of recovery against second-placed Tottenham Hotspurs in Saturday's late kickoff. Arsenal and Manchester United have easy home draws while Chelsea and City travel to Burnley and Bournemouth respectively. 1. Zlatan Ibrahimovic (11.7) : After failing to score in two consecutive games, Ibrahimovic scored his 15th league goal of the campaign - for a sixth straight season. Playing from a deeper role, the Swede always looked dangerous on the ball. Now as United prepare to host Watford and Bournemouth at Old Trafford over the next two fixtures, the Swede could very easily go on another goal-scoring run. 2. Romelu Lukaku (9.7) : As the entire league was watching Sanchez and Costa trying to secure top spot in the golden boot race, Romelu Lukaku's four goals against Bournemouth saw him overtake the duo with a one goal lead. The Belgian is known to score in patches so it should not come as a surprise if he continues his goal scoring antics against Middlesbrough. 3. Gabriel Jesus (9.2) : Can he do what Marcus Rashford did for United last season? If his current form is anything to go by, the Brazilian might actually better the Englishman. In the two starts that he has been given at City, the 19-year-old has two goals and an assist under his belt. With Bournemouth, whose defence is leaking goals at the moment, next, Jesus' goal scoring run might just continue. 4. Dele Alli (8.9) : In the last two matches against the top four sides, the 20-year-old has scored 3 goals out of Spurs' four. He always seems to turn up when the spotlight is on him and Spurs will be looking at their young midfielder to make the difference again. With a toothless Liverpool side on the horizon, Alli is a must have in your side. 5. Alexis Sanchez (11.8) : Since the turn of the year, Sanchez has scored three goals in six games. While that might sound like a good return, it is well short of what we have come to expect from the Arsenal star. He hasn't scored in two games running so you can expect that a big performance is on its way. The Chilean is in 35.6% of the teams, so leaving him out could prove disastrous. 6. Eden Hazard (10.2) : WHAT A GOAL!! It wasn't that Arsenal weren't in the right areas, it was just a brilliant goal. After going five games without a goal, the Belgian captain showed what he is capable of against Arsenal last week. He can surely build on that and when Chelsea face a resolute Burnley defence this week, Hazard has to be on top form if they are to win at Turf Moor. 7. 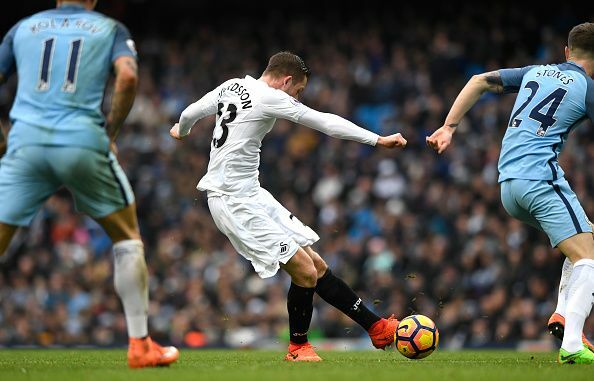 Gylfi Sigurdsson (7.4) : Paul Clement's appointment has seen Swansea City recover from the rut they found themselves in under Francesco Guidolin and Bob Bradley. They have won four out of the last six games and the Iceland international has been instrumental in this turnaround. Sigurdsson has three and assisted one in the last three matches and Leicester are unlikely to trouble the Swans this season. 8. Andrew Robertson (4.3) : Hull have struggled for most of the season but under Marco Silva they have already beaten both United and Liverpool. Their defensive capabilities have been on full display and Robertson has been at the forefront of the Hull recovery. Priced at just 4.3, he is a great option to have considering the style of football that Hull deploy. 9. Antonio Valencia (5.6) : United's fight for a top 4 place appears to be on as they are now just 2 points off Arsenal on the table after they beat Leicester 3-0 at the King Power. Valencia has averaged almost 6 points per game in his last five outings and with two home games lined up, he can continue to provide points at the same average. 10. David Luiz (6.2) : Chelsea's defensive strength this year has brought back memories from the Mourinho teams of old. When Luiz was re-signed from PSG, a lot of people had fun at Chelsea's expense but they have been proved wrong by the Brazilian. Not only is he the cheapest of all the Chelsea defenders, he has the capability of smashing in goals from distance as well. 11. Thibaut Courtois (5.9) : While taking two defensive players from the same teams is not an ideal situation, Chelsea are an exception to that rule. For a team that has kept 13 shut-outs in the league so far, Courtois is the safest option in the league to have as your goalkeeper. Andy Carroll (6.3) : The big centre-forward has scored four goals in the last four games for West Ham United as Bilic started playing direct football in order to escape the relegation fight. With the arrival of Robert Snodgrass, Carroll has a player who will always be willing to provide him with the right balls. Selected by just 4.9% players, the Englishman is an absolute steal at 6.3. Alfie Mawson (4.5) : Mawson played just three matches in the opening eleven matches but has been an ever-present fixture since. Standing at 1.88, he is Swansea's main threat on set pieces having scored two goals in his last 5 matches. He has been selected by just under 5000 people and with Leicester up next could prove to be a great signing. Ben Mee (4.6) : The efforts of Ben Mee, Tom Heaton, and Michael Keane have not gone unrewarded as Burnley find themselves third on the home table having conceded just 11 goals in 12 matches. One goal and a couple of assists is what Mee has provided apart from his cleansheets - a very good return for a central defender.